Really. The Chinese character for "crisis" is comprised of the calligraphy for "danger" and "opportunity." 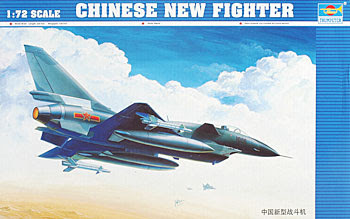 That's probably what USAF General Michael Wynne had in mind when he told a House Armed Services Committee that China had become "awesome investors," and that "...we need to work with them, because I would not like to be their opponent." Reviewing the USAF $111 billion FY 2008 budget request, the officers and congressmen contemplated the 14.7% increase in Chinese defense spending in 2006. General Michael Moseley, USAF chief of staff, said, "I would say it may be time for discussion about percentage of GDP on defense budgets," adding that the US percentage is at its lowest point, at 3.8%, since World War two. Foolishness! Your DNA would actually stretch to the sun and back about 4 times! DNA is a fine, spirally coiled thread in the nucleus of every living cell that serves as a guidebook so the cells "know" what they're supposed to do. The strands are so fine you need a high power electron microscopes to see them. The human genome, the genetic code in each human cell, contains 23 DNA molecules each containing from 500 thousand to 2.5 million nucleotide pairs. DNA molecules of this size are 1.7 to 8.5 cm long when uncoiled, or about 5 cm on average. You have about 10 trillion cells in your body, so if you stretched the DNA in all the cells out, end to end, they'd stretch over 744 million miles. The moon is only about 250,000 miles away, so all your DNA would stretch to the moon and back alomst 1500 times. The sun is 93,000,000 miles away, so your DNA would reach there and back about 4 times! Really! The San Andreas fault, which runs roughly north-south, is slipping, causing Los Angeles on the Pacific tectonic plate to move towards San Francisco, stuck on the North American plate, at about the same rate as your fingernails grow. In about 15 million years LA will be the home of the Golden Gate Bridge. Projections indicate that the Gulf of California will expand while Baja California and the California coast (including San Diego and Los Angeles) will continue northwestward toward the Aleutian Trench. As the area slides past San Francisco, it will become an island. A study by Yuri Fialko, an associate professor at the Scripps Institute near San Diego, shows that the San Andreas fault has been stressed to a level sufficient for the next "big one", an earthquake of magnitude 7.0 or greater. It could be tomorrow or it could be 10 years or more from now. Click the image below to see a computer generated model of how it might happen. Really. The top of towers of the Verrazano - Narrows Bridge at the mouth of the Hudson river in New York City are tilted almost two inches further apart than the base thanks to the curve of the Earth's surface. Actually, there are a lot of amazing things about that not-so-famous bridge. The Verrazano - Narrows Bridge contains enough concrete to construct a single lane highway from New York to Washington, and if the wires that make up the suspension cables were laid end-to-end they would reach 143,000 miles, more than halfway to the moon. Bottled Water Is "All Wet"